Amid BMW’s reveals of new concept at the Frankfurt Motor Show, the German brand also announces a few updates for its existing lineup, including several new powertrains. All of these tweaks arrive in Europe this fall. For folks in the market for a diesel-fueled performance station wagon, BMW launches M550d xDrive Touring in November. The quad-turbocharged 3.0-liter inline produces 394 horsepower (294 kilowatts) and 561 pound-feet (760 Newton-meters) of torque. The mill gets the all-wheel-drive estate car to 62 miles per hour (100 kilometers per hour) in 4.6 seconds. The model also comes with M-developed parts for the suspension, brakes, and 19-inch wheels. The 640d xDrive Gran Turismo lets buyers get a stylish, all-wheel-drive vehicle with a powerful diesel engine. It comes with a 3.0-liter turbocharged inline-six diesel with 315 hp (235 kW) and 502 lb-ft (680 Nm). The engine accelerates the vehicle to 62 mph (100 kph) in 5.3 seconds. 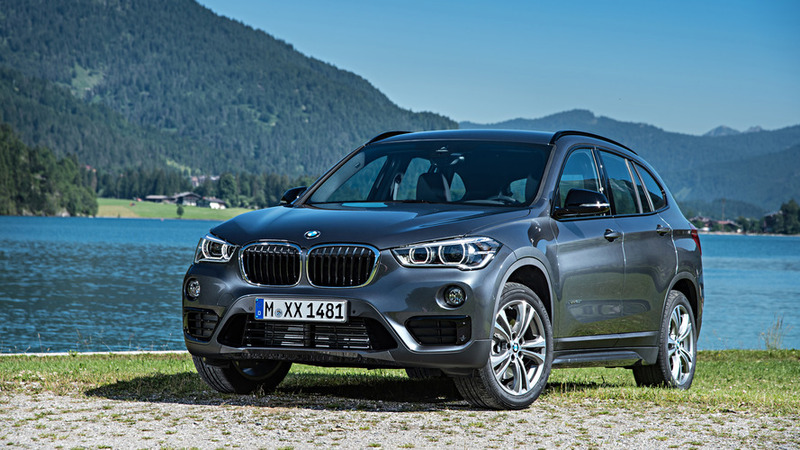 BMW will also add two, 2.0-liter gasoline-fueled turbocharged four-cylinder engines to the X3’s lineup. Both come with an eight-speed automatic and all-wheel drive. The less-powerful version develops 181 hp (135 kW) and 214 lb-ft (290 Nm), which accelerates the crossover to 62 mph (100 kph) in 8.3 seconds. The other choice has 248 hp (185 kW) and 258 lb-ft (350 Nm) for getting the model to 62 mph (100 kph) in 6.3 seconds. The X3 also receives some high-end options this fall from BMW Individual. Sun Stone Metallic adds a stylish look to the exterior. Inside, customers can get Merino leather upholstery in Fiona Red and Black, Ivory White, and Tartufo. There are also new gloss black interior trim strips available. There are some minor tweaks for the X1, too. The xDrive20d now comes standard with an eight-speed automatic gearbox. The company will also add five more wheel design options that range from 17-inch units with turbine styling to a 19-inch double-spoke parts from the M division. BMW model upgrade measures for the autumn of 2017. New engine variants for the new BMW 5 Series Touring, the new BMW 6 Series Gran Turismo and the new BMW X3 – BMW X3 with exclusive exterior and interior options by BMW Individual – new light alloy wheels for the BMW X1 – BMW Connected+ with new personalised services – Microsoft Office 365 with Skype for Business available as new BMW Connected services – On-Street Parking Information utilizable in further cities. Munich. Parallel to the start of the largest model initiative in the history of the brand, BMW is also increasing the attractiveness and diversity within the range of existing series with a multitude of new features being introduced in the autumn of 2017. From November 2017, the new BMW M550d xDrive Touring (combined fuel consumption: 6.7 – 6.4 l/100 km; combined CO2 emissions: 176 – 168 g/km) and the new BMW 640d xDrive Gran Turismo (combined fuel consumption: 6.2 – 5.8 l/100 km; combined CO2 emissions: 163 – 153 g/km) will become available, whilst as from December 2017, two new petrol engine variants will be offered for the new BMW X3. Furthermore, the choice of special equipment features for the new BMW X3 will be complemented by exclusive exterior and interior options by BMW Individual. The BMW X1 xDrive20d (combined fuel consumption: 4.8 – 4.7 l/100 km; combined CO2 emissions: 127 – 123 g/km) will in future come with the 8-speed Steptronic transmission as standard. Moreover, as from November 2017, the range of optional light alloy wheels for the compact Sports Activity Vehicle (SAV) will be complemented by five new variants. In addition to the introduction of the BMW Connected Services Microsoft Office 365 with Skype for Business, the upgrade of BMW Connected+ with new personalised digital mobility services will ensure further advancement in the field of intelligent networking. Starting in the autumn of 2017, the number of cities in which the digital parking space search service On-Street Parking Information can be utilized will increase even further. New BMW M Performance model: BMW M550d xDrive Touring featuring the most powerful six-cylinder diesel engine available worldwide. From November 2017, the fleet of exceptionally sporty BMW M Performance automobiles will be complemented by a fascinatingly powerful but also impressively efficient model variant of the new BMW 5 Series Touring. The new BMW M550d xDrive Touring will feature the most powerful six-cylinder diesel engine available worldwide. The M Performance TwinPower Turbo technology used on the 3-litre, straight six-cylinder power unit comprises multi-stage charging with four turbochargers and Common Rail direct injection operating at a maximum pressure of more than 2,500 bar. A maximum power output of 294 kW/400 hp and a peak torque of 760 Nm available between 2, 000 and 3, 000 rpm ensure spontaneous response and constant power delivery across the entire speed range. The BMW M550d xDrive Touring brings its exceptional engine performance to the tarmac via an 8-speed sports transmission and intelligent rear-wheel oriented four- wheel drive technology and accelerates from a standstill to 100 km/h in just 4.6 seconds. The sporty diesel engine convinces not only with highly responsive performance characteristics, but also with impressive fuel economy. Combined fuel consumption of the new BMW M550d xDrive Touring is between 6.7 and 6.4 litres per 100 km with CO2 emission levels of 176 to 168 grams per km (figures as per EU test cycle, depending on selected tyre size). 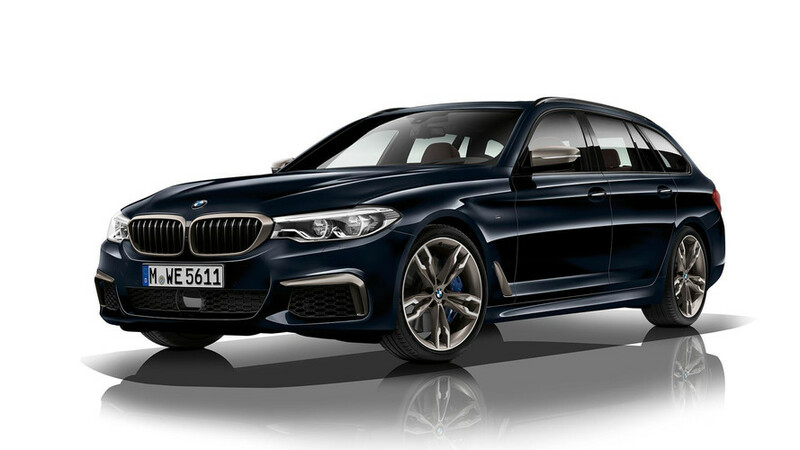 Included in the standard equipment range for the BMW M550d xDrive Touring are, inter alia, an M sports suspension, Integral Active Steering and model-specific exterior and interior features. Moreover, 19-inch M light alloy wheels with mixed tyres and the M sports brake system underscore the BMW M Performance model’s dynamic character. Superior and efficient: The new BMW 640d xDrive Gran Turismo. Gran Turismo will be extended with the production start of a second diesel engine variant. The new BMW 640d xDrive Gran Turismo combines sporty performance and supreme ride comfort with a high level of efficiency. Its 3-litre straight six- cylinder engine with BMW TwinPower Turbo technology features multi-stage charging with variable intake geometry for the high and low pressure chargers as well as Common Rail direct injection. It delivers 235 kW/320 hp and a maximum torque of 680 Nm. In conjunction with an 8-speed Steptronic transmission and the intelligent four- wheel drive system xDrive, the powerful diesel engine allows the new BMW 640d xDrive Gran Turismo to accelerate from 0 to100 km/h in 5.3 seconds. Combined fuel consumption is between 6.2 and 5.8 litres per 100 km, with corresponding CO2 emission levels of 163 to 153 grams per km (figures as per EU test cycle, depending on selected tyre size). The BMW X3: Starting with two additional engines and special equipment features by BMW Individual. The engine featured in the new BMW X3 xDrive20i delivers a maximum power output of 135 kW/184 hp and a peak torque of 290 Nm. The car’s sporty characteristics are reflected in an acceleration of 8.3 seconds from 0 to 100 km/h, an exceptionally economical average fuel consumption of between 7.3 and 7.1 litres per 100 km and CO2 emission levels of 168 to 163 grams per km. 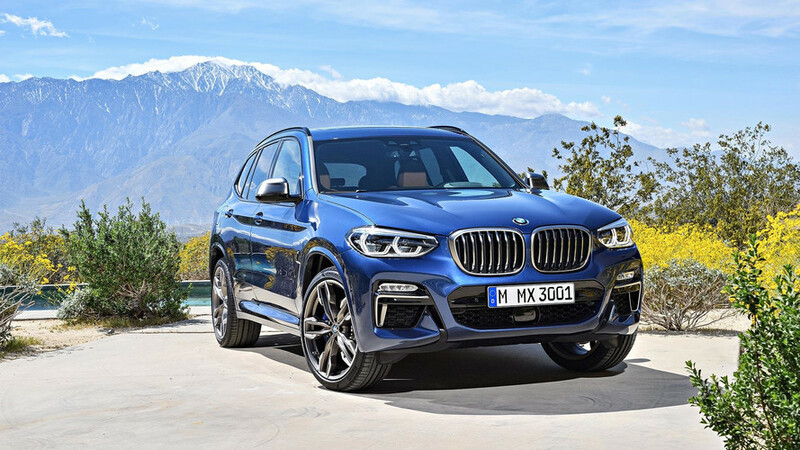 The second petrol engine delivers a power output of 185 kW/252 hp and 350 Nm of torque, allowing the new BMW X3 xDrive30i to accelerate from 0 to 100 km/h in 6.3 seconds. Combined fuel consumption is between 7.3 and 7.2 litres per 100 km with CO2 emission levels of 168 to 164 grams per km (figures as per EU test cycle, depending on selected tyre size). The extra dose of luxury and exclusiveness added to the new BMW X3’s character is also reflected in the extensive range of products offered by BMW Individual. The BMW Individual body colour variant Sun Stone metallic effectively accentuates the powerfully modelled surfaces of the Sports Activity Vehicle in a most impressive manner. The sophisticated interior ambience is created by the BMW Individual upgraded leather trim Merino in the colour combinations Fiona Red/Black, Ivory White and Tartufo, door sills bearing the BMW Individual lettering and BMW Individual interior trim strips in a black piano gloss finish. BMW X1 xDrive20d now with 8-speed Steptronic transmission as standard, new light alloy wheels for the compact SAV. X1 xDrive20d will come as standard in conjunction with an 8-speed Steptronic transmission, allowing the compact SAV to accelerate from a standstill to 100 km/h in 7.9 seconds. Average fuel consumption of the BMW X1 xDrive20d is between 4.8 and 4.7 litres per 100 km and CO2 emissions 127 to 123 grams per km (figures as per EU test cycle, depending on selected tyre size). Furthermore, the range of light alloy wheels optionally available for the BMW X1 will be upgraded. The choice will comprise five new variants ranging from 17-inch wheels with aerodynamically optimised turbine styling to 19-inch M light alloy wheels in a double-spoke design and bicolour optics. Enhanced networking and productivity inside the vehicle: Microsoft Office 365 with Skype for Business, On-Street Parking Information in further European cities. 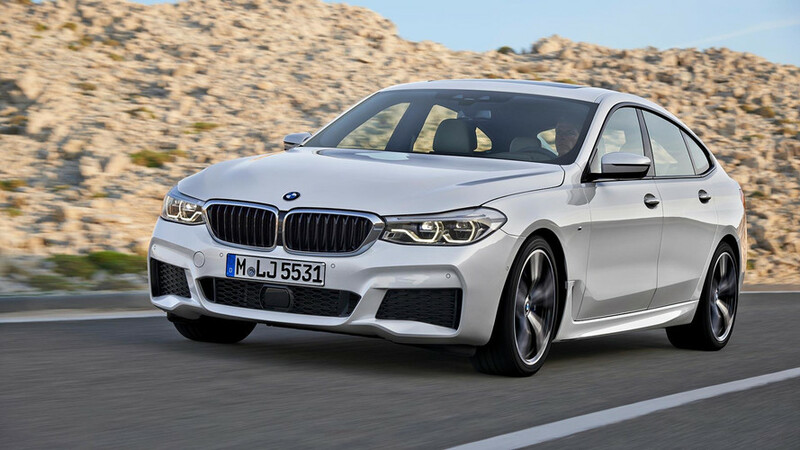 With the integrated function Microsoft Office 365, BMW is the first manufacturer to offer a safe server connection for the exchange and processing of mails, calendar entries and contact data. This function allows direct transfer of addresses from calendar entries into the navigation system and selection of telephone numbers via the connected mobile telephone. Moreover, from the end of September 2017, it will be possible to use the Unified Communication solution Skype for Business from Microsoft inside the car. This service is also fully integrated into the onboard iDrive control system. Upcoming telephone conferences are automatically identified. It is possible to participate simply by pressing the controller. During the journey, the name of those taking part in the discussion can be shown on the Control Display. The new BMW ConnectedDrive service will first be available in Germany, Great Britain and France. Additional countries are to follow at the end of 2017. From the autumn of 2017, the number of European cities in which the unique On- Street Parking Information service, which assists the driver in finding a free parking space at the roadside, will be extended even further. The digital parking space finder, which is available in conjunction with the Real Time Traffic Information (RTTI) service for all current BMW models, can be also used in the Swedish cities of Stockholm, Gothenburg and Malmö as well as in the French cities of Paris, Lyon, Marseille, Nice, Nantes and Toulouse. Moreover, the cities of London, Manchester, Liverpool, Birmingham, Bristol, Sheffield, Glasgow, Edinburgh and Belfast in the UK have been added to this list. BMW Connected with new services. The intelligent networking of the vehicle and the driver’s Smartphone will be further intensified with the service package BMW Connected+. Since July 2017 the extended range of digital services has been available for all current BMW models and BMW i models and comprises the highly personalised and simple display of Smartphone contents inside the car as well as new mobility services.